When the Season 2 finale opened, we were given a hoodwink as a signal. By panning over the dead bodies of all the Gerhardt family members, director Adam Arkin and creator, writer and showrunner Noah Hawley first made us think — when we arrived at Betsey’s unconscious body — that she, too, might be dead. Then her eyes opened, and relief washed over us all. Yet the omen wasn’t foreshadowing her death or even remarking on the good fortune of her life. It told us two things: First, it indicated her vision of the future was going to come true — just as we knew it would from watching Season 1. More importantly to the diegetic present, though, Betsey being alive indicated to the audience that there wasn’t going to be much more bloodshed in “Palindrome.” Yes, Ed (Jesse Plemmons) died, but his was more of a symbolic loss than anything else — matching the finale’s heavy use of metaphor and implication, for better and for worse. The worse side of things was basically represented with inaction. No final fates were provided for any of the characters. Betsey survived. Hank survived. Ohanzee went off to do God knows what. Peggy is likely off to prison, but for how long and where (California?) is unknown. 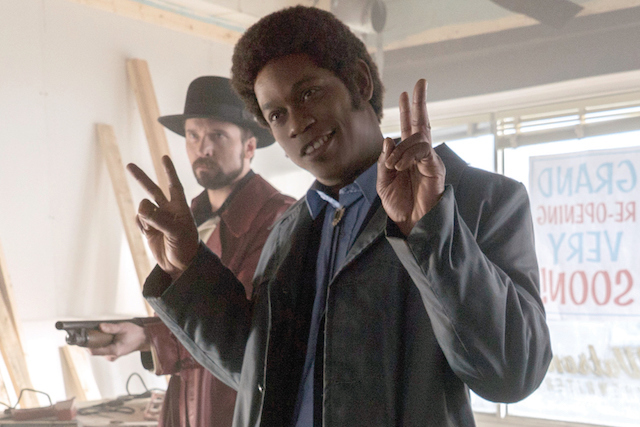 Mike Milligan (Bokeem Woodbine) was dealt an office job we all saw coming, but his displeasure seemed to indicate its impermanence. The Gerhardt family is dead and the Kansas City crime syndicate is king, but we knew that as soon as Floyd’s body hit the street last week. For a season finale of a self-contained series, “Fargo” sure felt like it wanted to keep a lot of doors open. What’s pure and positive from “Fargo” Season 2 is hopefully what everyone will remember: the images. Hank’s idea about communication through symbols, of course, placed heavy prominence on the visual arts — namely television as a way of expressing ideas. Well, the strongest ideas that came out of “Fargo” had little to do with what was said. It was seeing Mike Milligan sitting behind a desk. It was Peggy fighting to get back to her husband after he’d left us for good. It was all those bodies lying cold and lifeless across the northern plains. Most of all, though, it was watching Molly grow up in front of our eyes; a sequence Betsey only got to dream about. 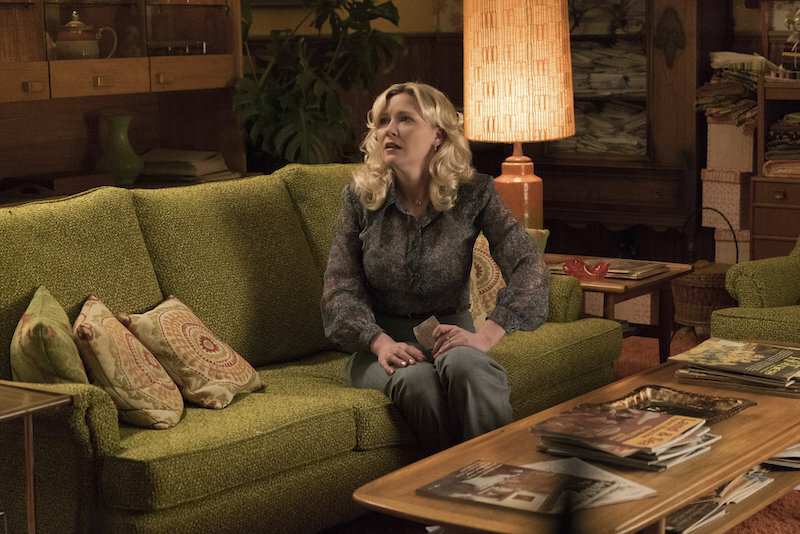 Images are clearer than words, and when “Fargo” realized that, it was a far better show. The most pressing impediment to hailing the “Fargo” Season 2 finale as “great” (let alone comparable to the superb Season 1 kicker) is that most of the action was either already complete or abundantly obvious. Very few surprises laid in store for viewers during this final hour, including Hank’s survival — though I was pleasantly surprised to see him stay standing at season’s end, readers seemed adamant in knowing he would all along — but worse yet, very little new information was provided despite a considerable amount of chatter. Peggy (Kirsten Dunst) and Lou (Patrick Wilson) had the showcase scene, and both performers knocked it out of the park. They each were given juicy, dramatic, character-defining monologues, but reestablishing that Peggy wanted to make choices and Lou was pushing the same rock up the hill as Ed isn’t exactly breaking news. Neither character moved an inch forward from where they were a few weeks ago, and the blunt exchange of ideas previously inferred shed no new light on either one of them. These characters weren’t everything to “Fargo” — merely two-thirds, with the final element made up of outright criminals like Mike Milligan and the Gerhardt clan — but they were arguably the most important delegates in the season’s long and ultimately redundant discussion. Bad men are bad men, through and through. Good men are good men, but can be tempted. That’s what leads us to the in-betweeners, aka, the Blomquists. So “good” (Lou) speaking reason to someone who never meant for any of this to happen is a pivotal moment in American culture, especially when thinking toward the future that Betsey wants to happen — and fears is under threat. For as epic an exchange as it was for the actors, it’s a bit of a disappointment we weren’t merely left with the image of Lou holding Peggy tightly, comforting her as she realizes what’s been lost. I half-expected Mike Milligan to utter the title of this section after he took his seat behind a desk in a tiny office somewhere in Kansas City. I mean, what a tragic end for a man who thought he’d finally juked the system. Mike Milligan is a killer, yes, and one that seems to enjoy his duties a little too much — as evidenced by his example of “cruelty” paid earlier in the episode — but it still stings a bit to see a black man do his job perfectly and then end up getting screwed. Is it fitting for the late ’70s? On all fronts. So much so, there seemed to be no other end for someone working as a corporate stooge even when wielding a shotgun. He had to end up as a desk jockey in the end, and hearing his boss talk about “the accounting department” and telling him to “cut his hair” and “get a real tie” did provide some amusement for the expected transition. But that doesn’t make me happy to see Mike stuck there — even if I expect this “hippie” didn’t last long. In a finale bleakly reassuring — as odd of a combination as that is — there weren’t many giddy moments. Yes, seeing Hank walk in for family dinner stands out, just as Betsey opening her eyes in bed with Molly laying next to her. But perhaps the biggest smile I had came when Allison Tolman was given a magnificent star turn in her return to the screen as a grown-up Molly Solverson. Seeing Keith Carradine return as an older Lou Solverson wasn’t bad either, but Tolman was the breakout from Season 1 that no one topped in the second year. Hopefully she’ll come back again, one way or another, in Season 3.
Credit where credit is due: Peggy hallucinating the smoke pouring in through the vent of the walk-in freezer that would be her husband’s tomb was one heckuva scene. Even as she maniacally recalled the movie she’d watched on television while Dodd escaped his ties days before, I didn’t give the coincidence a second thought. Ohanzee, after all, is one smart cookie. He would have figured out a way to save them had he not realized Ed was likely already a goner (and the cops were on his tail). Her hallucinations were a fun, enticing, original theme of the new season that provided fascinating insight into the mind of a woman cracking under the constraints of her life, and this was an excellent bookend to her breakdown. Yet the finale didn’t pay off in full at least one other big thread of the season. When Betsey brought up her Dad’s drawings, it seemed like the perfect way to finally address the elephant in the room — or should I say the aliens hovering above their heads? This was not the case, though, and as much as I enjoyed Hank’s explanation — and was relieved he wasn’t some oval-eyed Martian — it left a bit of a gap as to where those UFOs fit in for the season. The theories I posited last week are some comfort, and I’m sure fans who can hear no slight against Noah Hawley’s master plan will come up with their own over the next few days, weeks and months. 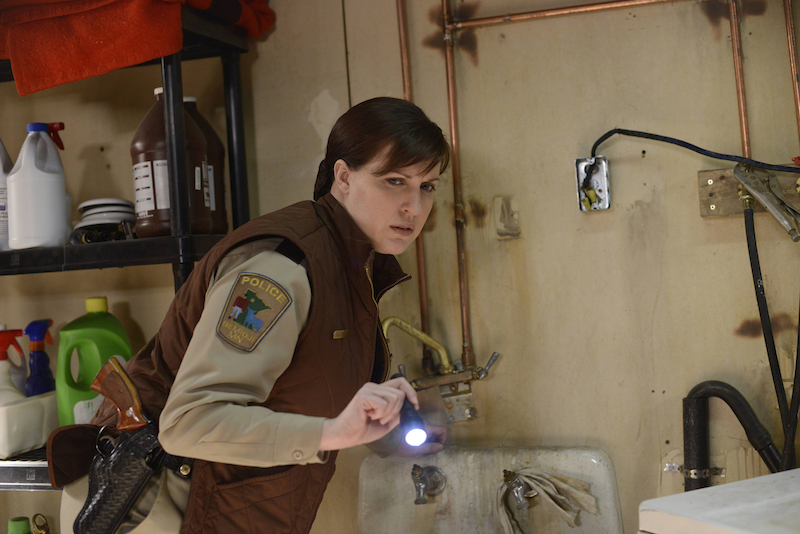 But “Fargo” Season 2 felt incomplete in the end; a notion I would’ve thought impossible given its prequel positioning. Perhaps we’ll find out more in Season 3.